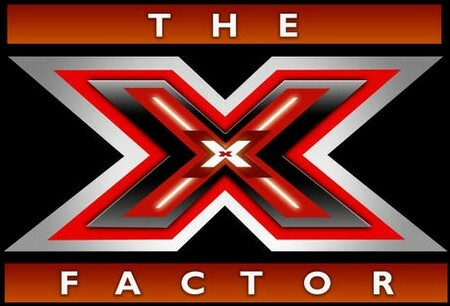 The X Factor made its series premiere in the United States today and our sister site ES is covering the events live! The show will award a $5 million recording contract with Sony. Hosting the show is Steve Jones and the judges are Simon Cowell, L.A. Reid, Cheryl Cole and Paula Abdul. Where’s Nicole Scherzinger?!? Rachel Crow is up first to the auditions. She’s 13-years-old and really wants to be a singer and she’s nervous! She’s singing Mercy by Duffy. She sounds okay, but a tad flat. The crowd loves her. Paula loves her performance and said she delivered the goods. Cheryl said she had her before she sang. L.A. Reid said she’s feisty, soulful and she has it all. Simon said she’s the reason why they lowered the age limit for the show. All of the judges gave her a “yes”. Up next is Terrell Carter and he sounds okay, but not wonderful. Four yes’es from the judges! Ellona Santiago sang her heart out and got four positive responses from the judges. John Lindahl sang Forget You be Cee Lo Green and he wasn’t too bad. Four positive responses! Next up, is Siameze Floyd and he’s definitely got some kind of style going on. AWFUL. He can hold a note. Cheryl said she doesn’t know if it’s just weird. Simon said it was poppy jazz, but it was fascinating. Paula said he gave that energy, but it wasn’t enough. L.A. said no, Cheryl said yes, Paula said yes and Simon said yes, even though he’s talented but deluded. Ugh. Dan and Venita are up next to auditions. They’re singing Unchained Melody and while they’re a cute and funny couple, they sing like they belong in a senior center. Terrible, but cute. L.A. looks like something awful invaded the stage. Simon said it was terrifying. Paula said no, Cheryl agreed, Simon said they’re adorable, but the answer is no. To read the rest of the recap catch it HERE!